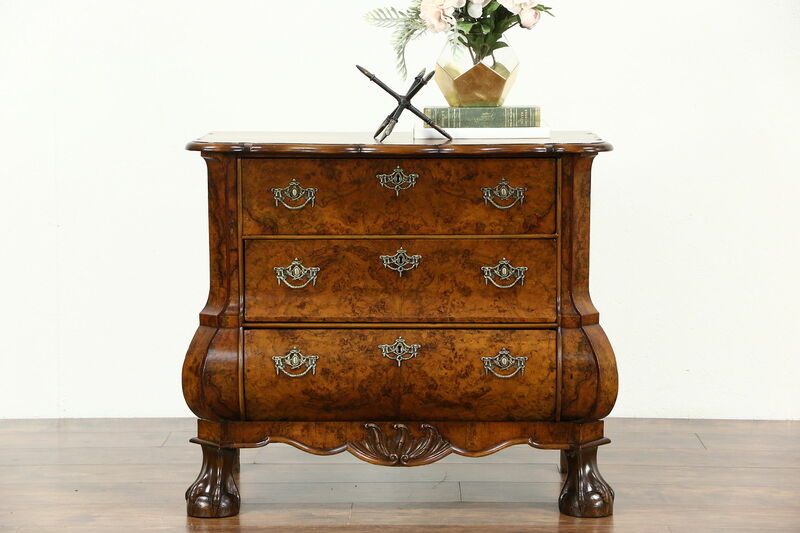 A classic Dutch Baroque chest or commode has convex "bombe" design and carved ball and claw feet. Expertly crafted in Holland in the 1900's, the restored finish is in excellent condition on matched walnut and intricate burl. Drawers have original brass hardware, locks have no keys. There is a slight musty scent inside. Dramatic vintage European furniture is unique to the Netherlands. Size is 35" wide, 20" deep and 30" tall.